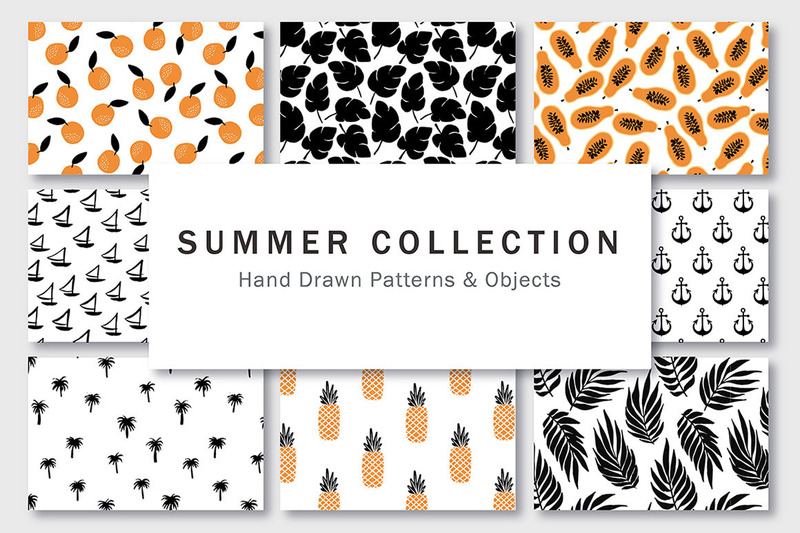 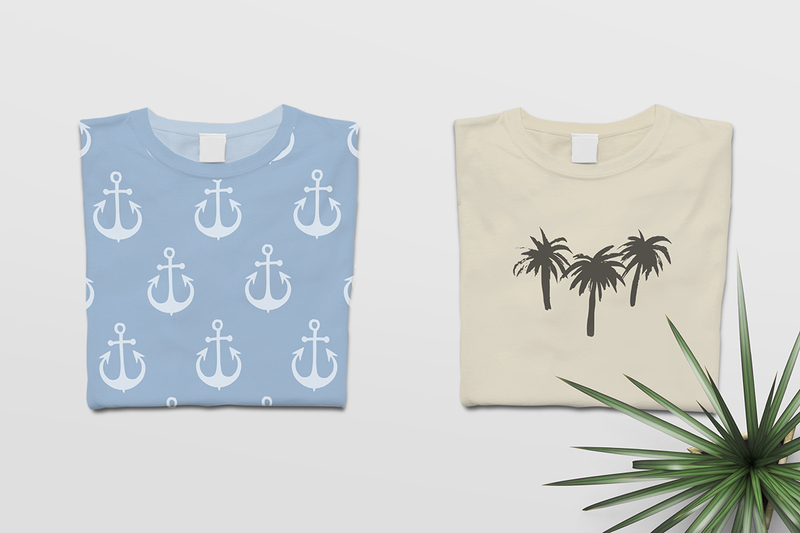 This collection contains 37 handcrafted seamless patterns and 50+ summer objects: anchors and ship, palm trees and leaves, fruits, etc. 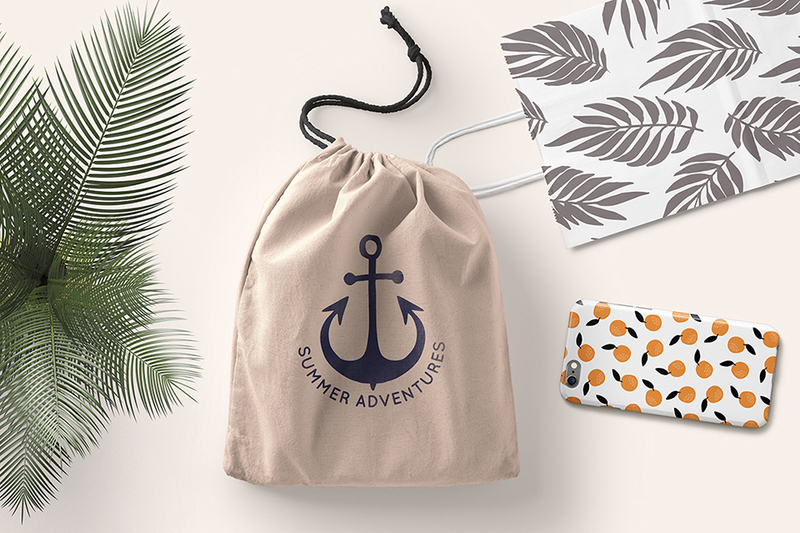 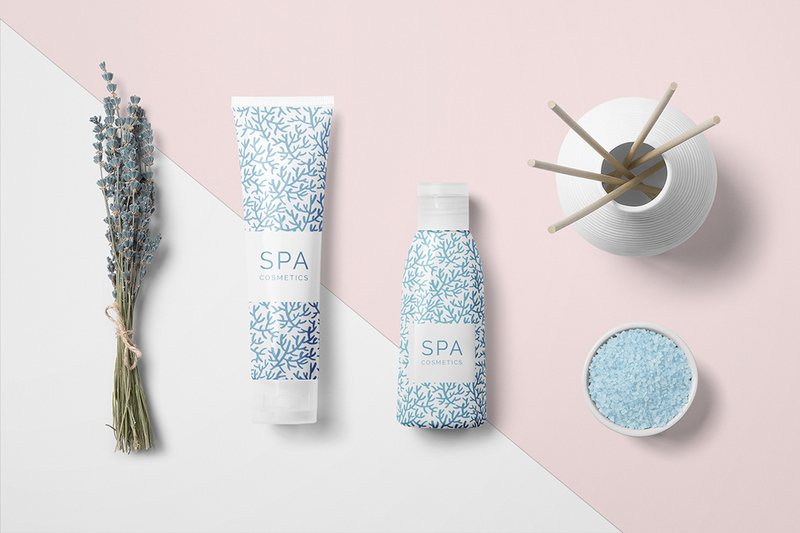 All elements can be used to decorate your print designs (cards, wrapping paper), textile (t-shirts, towels, cushions, phone cases), as well as web designs (banners, backgrounds), etc. 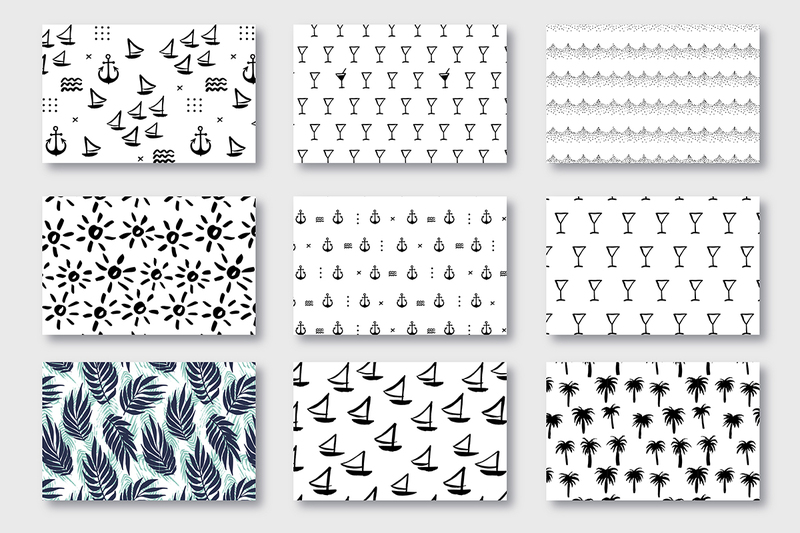 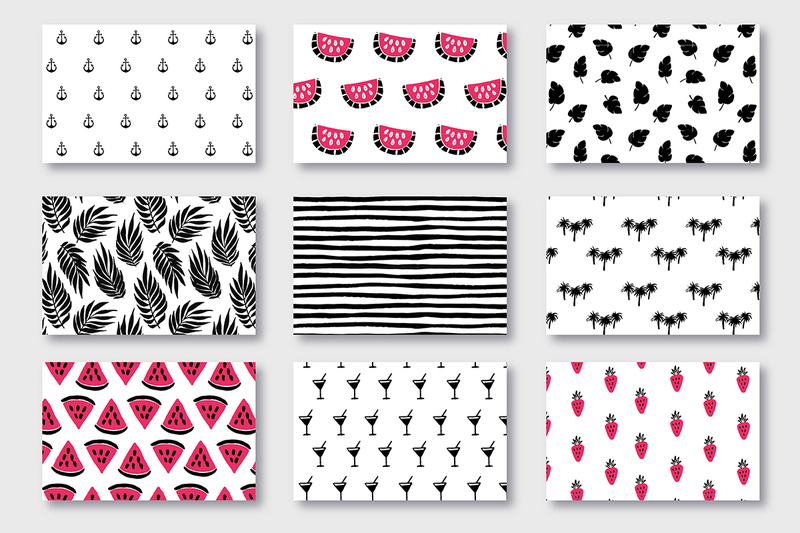 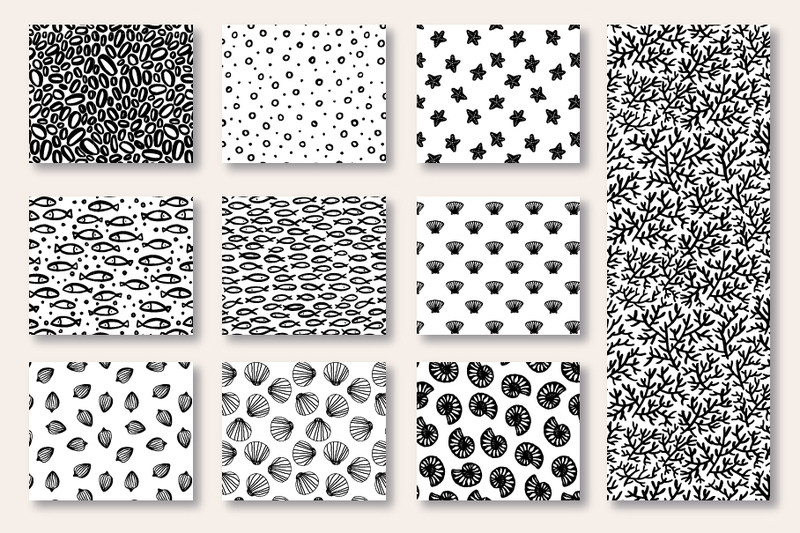 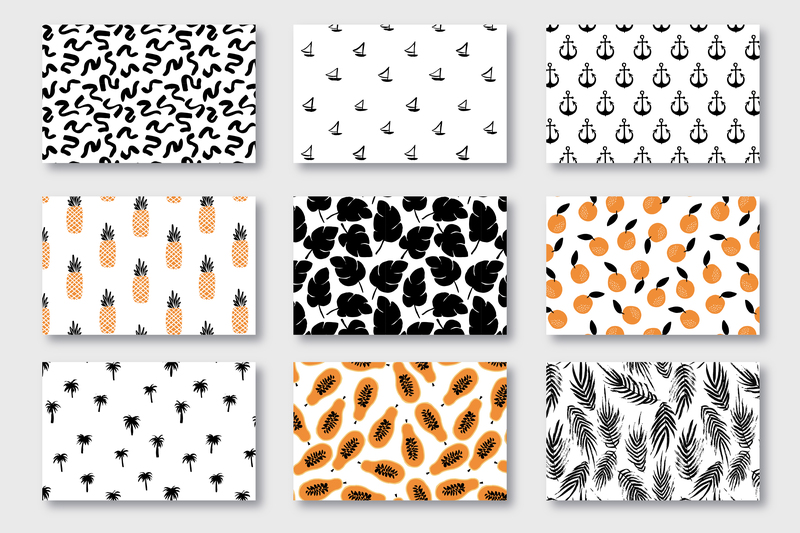 You will get all 37 patterns in the following formats: vector .EPS10 and .AI files, .PNG and .JPG. 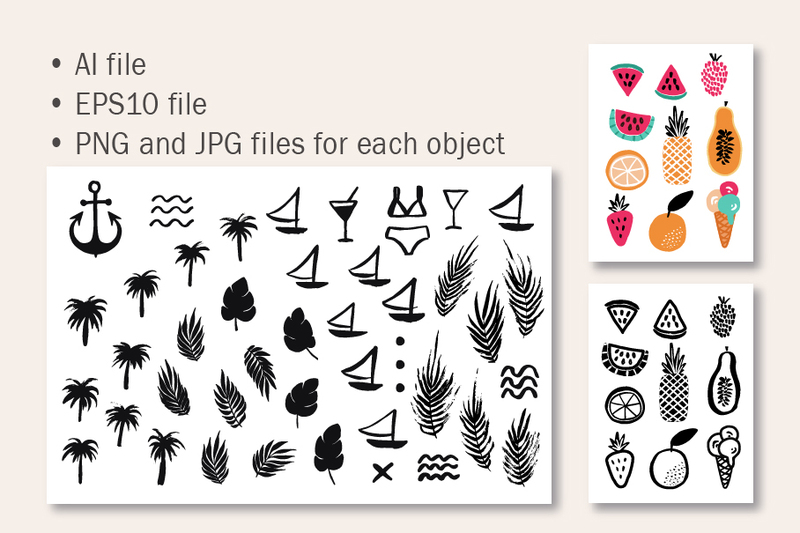 The 63 illustrated hand-drawn objects are represented as one vector .EPS10 file, one vector .AI file as well as separate .PNG files with a transparent background (various sizes, 300 ppi) and separate .JPG files (various sizes, 300 ppi).